It goes without saying that judges are fact finders, charged with a responsibility to rule based on weighing evidence. To do so effectively, they must evaluate the truthfulness of witnesses. Witness testimony is a pillar of our judicial system, and being able to say, when confronted with contradictory accounts, which is more likely to be accurate is a big part of the job. Or to put it more bluntly, you can't be a good judge without calling out the lie. It's worth noting that the author, Nathan J. Robinson, brings both a professional and personal perspective to the task. Robinson, a doctoral student in sociology at Harvard and editor of Current Affairs magazine, probably has seen his share of lying by those accused of crimes and the cops who collar them. He worked as a public defender in New Orleans and co-directed the Green Haven Prison Project, a program at Yale Law School that brings students in contact with inmates at a maximum security prison in upstate New York. 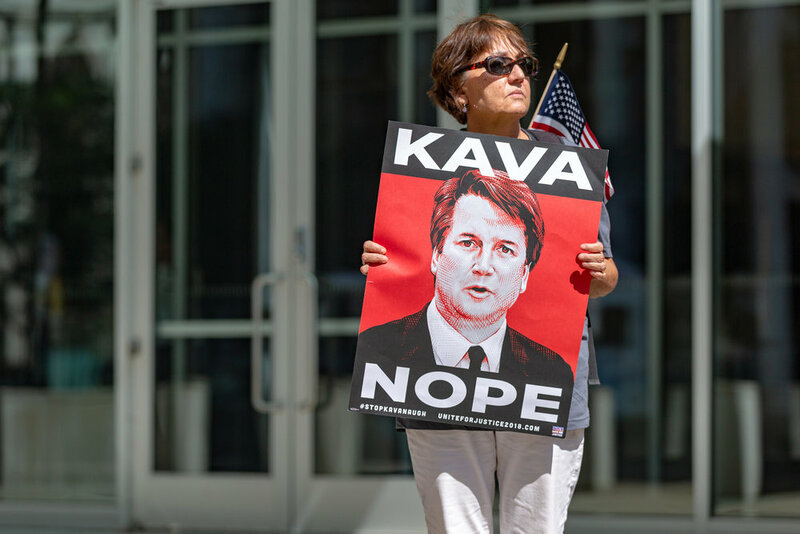 Yale Law is, of course, Kavanaugh's alma mater, and was the subject of scrutiny during his confirmation hearings last week, due to questions about the school's drinking culture and treatment of women. As Robinson studies there, he's likely witnessed first-hand the frat-boy antics that have now cast a cloud over the Supreme Court nominee.